On one of the coldest days of the season so far, vandals are alleged to be responsible for opening fire hydrants in the city’s North End, sending up to two feet of water spewing onto the streets. Police shut down Church Avenue between McGregor Street and Andrews Street shortly after midnight Sunday morning, as crews worked to shut off the hydrants. 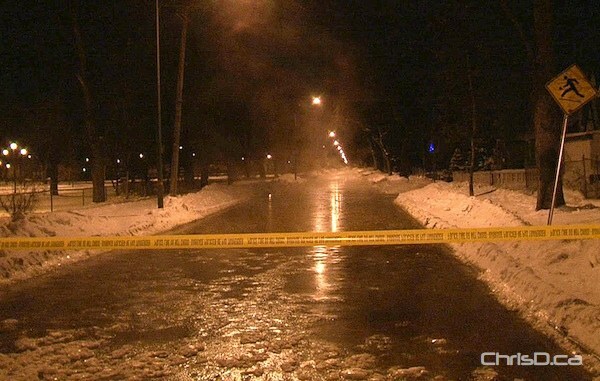 Three fire hydrants were reportedly opened with a large wrench, which created an instant skating rink. By late Sunday morning, sanding trucks were still on scene to remove the ice.